Exhibitions are drawn from Harn collections as well as loans from both private lenders, artists, and other art museums. 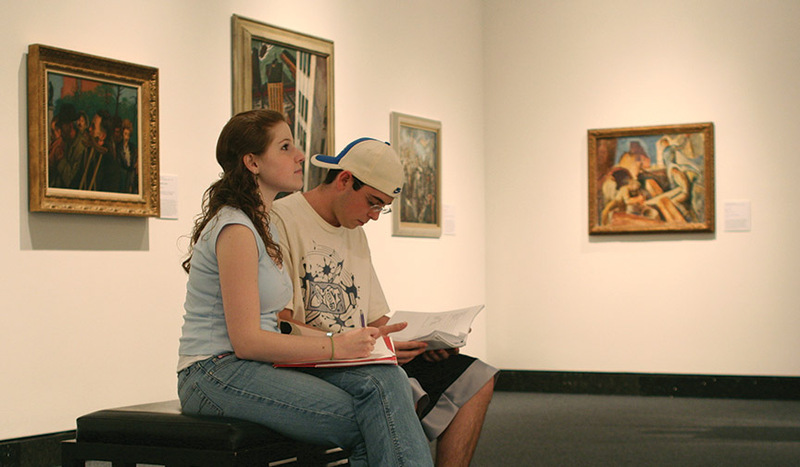 Harn collections and exhibitions also travel to other institutions. Current exhibitions change frequently and are on display in eleven galleries. The Harn also has five galleries that are dedicated to main collecting areas of African, Asian, modern and contemporary art and photography. Learn about what will be on display in the near future in order to plan your next visit, strategize your classroom curriculum or gather ideas on how to partner with the museum. The Harn works with schools and community groups to display art in various non-curated spaces within the museum. As a part of our strategic plan, the museum brings the joy of experiencing great works of art to diverse university, community, national and global audiences through relevant and enlightening art collections, exhibitions and learning opportunities. Organizing exhibitions for travel is an important way to increase the impact and reach of our collections. We are both simply floored by the perfection of the museum that you and the staff are presenting to the public. The quality of the collections, the installations, the variety of exhibitions, the presentation -- they are all at the top of the field, and we couldn't be prouder of your success.